Our new challenge at Inkspirational is rose colours. 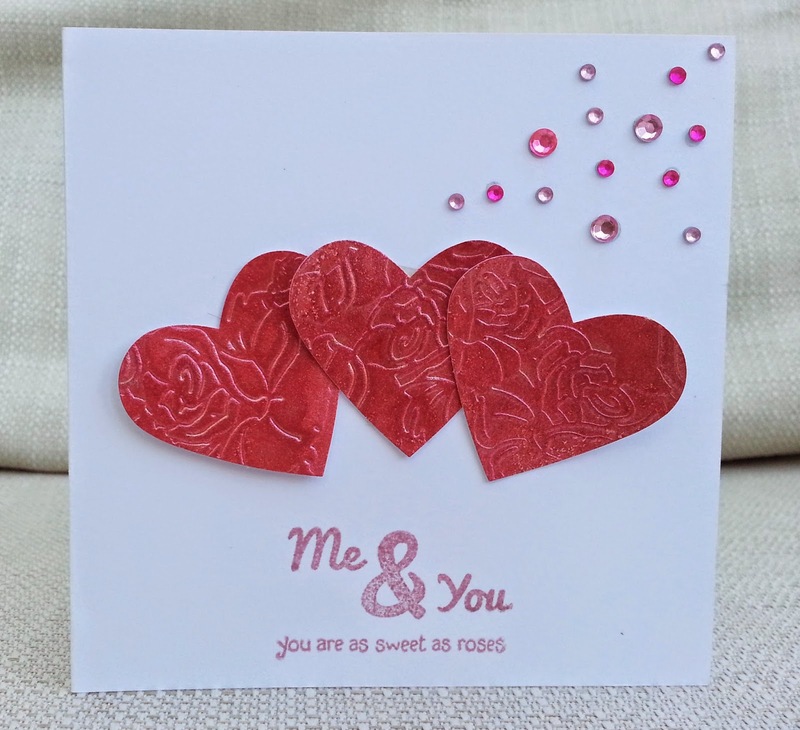 To make my card I used pearlescent card, a rose embossing folder, a heart punch and red Cosmic Shimmer mist. 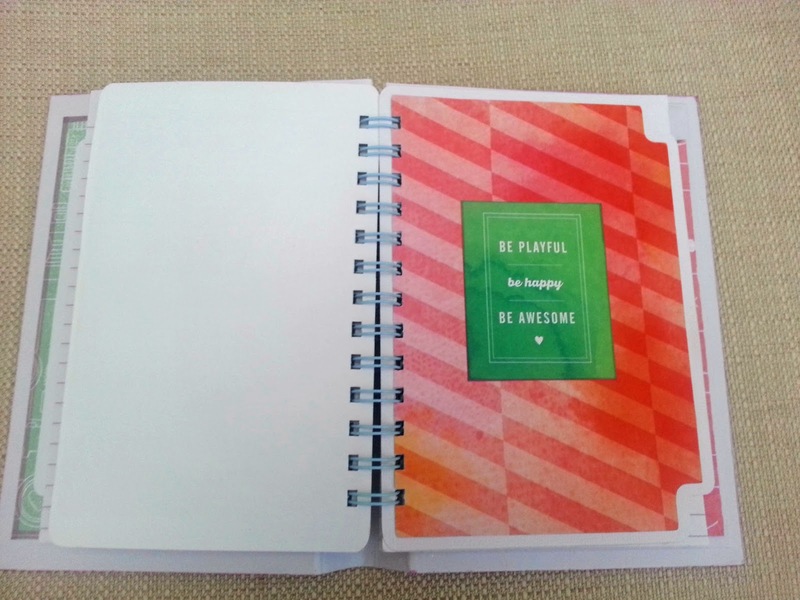 The sentiments are from Sarah Hurley and Papermania. 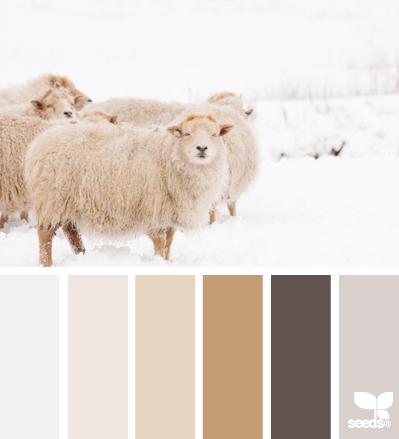 This challenge calls for pinks and reds that are ideal for valentines or florals but you can use any images you like as long as you stick to our colour guidelines. 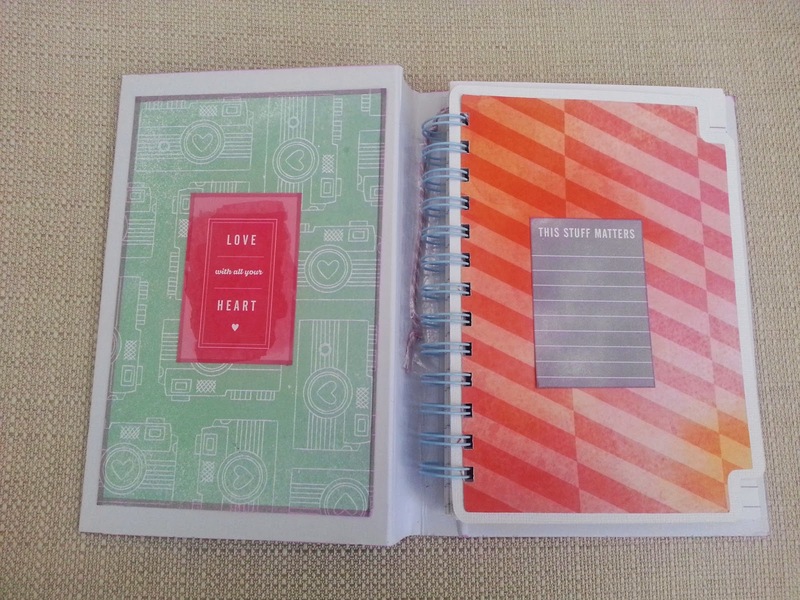 Please also visit the blog to see the work of our Guest Designer, Jill. This image is from a set I know came with a magazine, but that's all I can say about it except ...the style does look sort of familiar, like it might be a well-known brand, although not a brand I would normally go for. I probably wouldn't have bought these stamps, but when I made myself use one I did quite enjoy it. I used Promarkers, paper piecing, a fake turned corner, die cut holly with liquid pearl berries , a Hero Arts sentiment and music background paper. 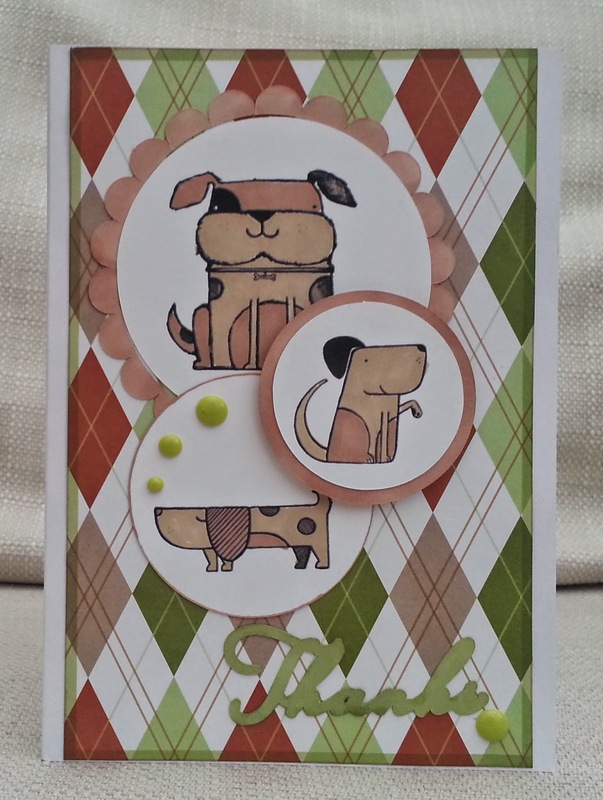 Our challenge at Creative Cutting Challenge is Valentine's Day and here's my DT card. 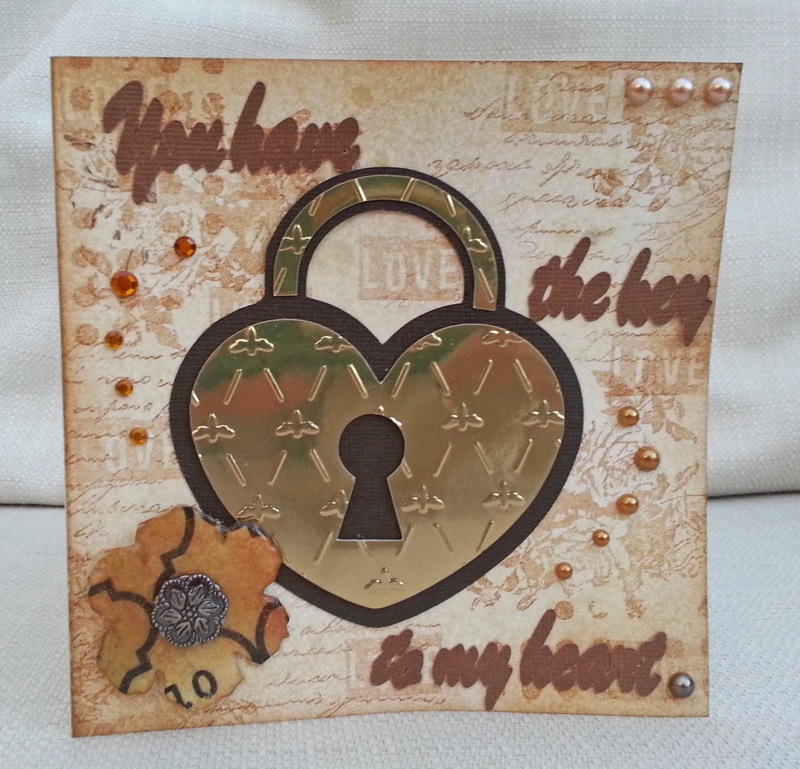 I used the lock from the Valentine Hearts file from the Creative Pointe and I gave it some texture with an embossing folder. 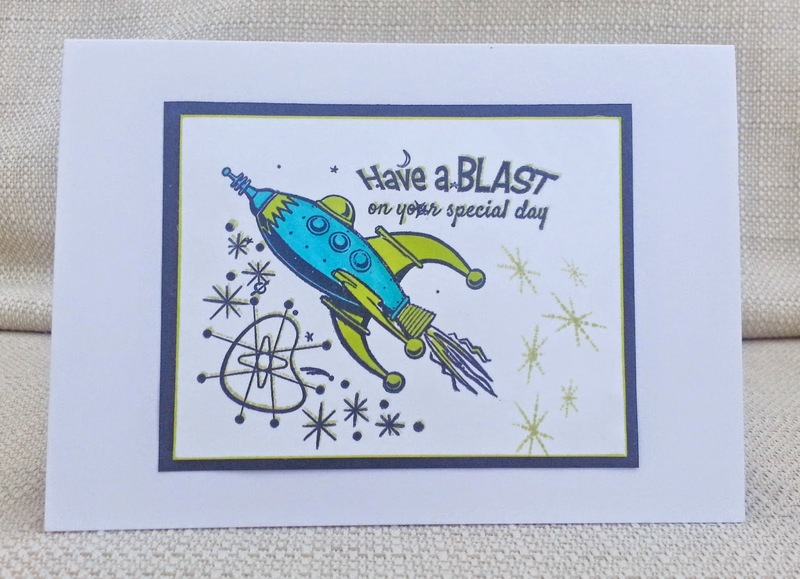 I made the background using a Distress spray and stamps from a range of companies including Bo Bunny, Glitz, Indigo Blu and a Craft Stamper freebie. 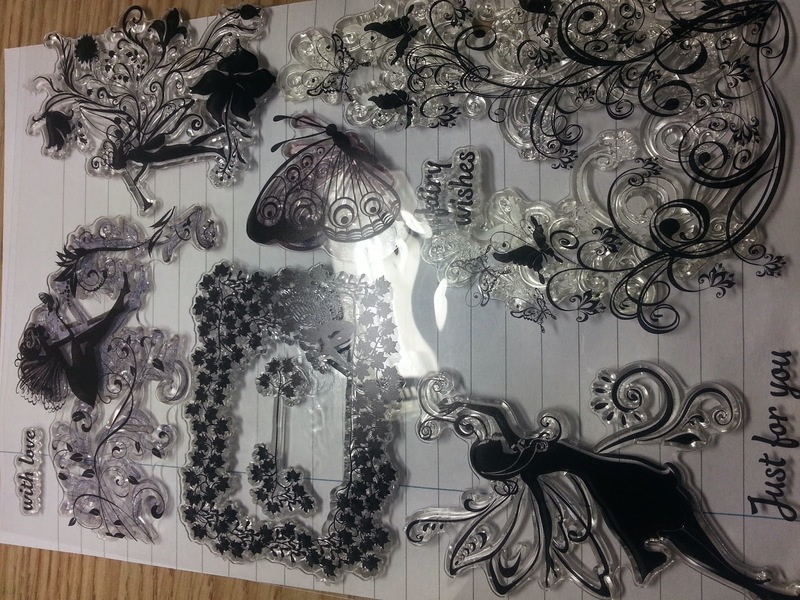 I added the words which were die-cut on the Silhouette, gems and pearl and a flower that I made a while back in the melt pot. If you have an electronic cutting machine, use an SVG to make a Valentine's Day project and join us at Creative Cutting Challenge. This week's challenge at Make My Monday is 'Bright and Cheery Colours'. 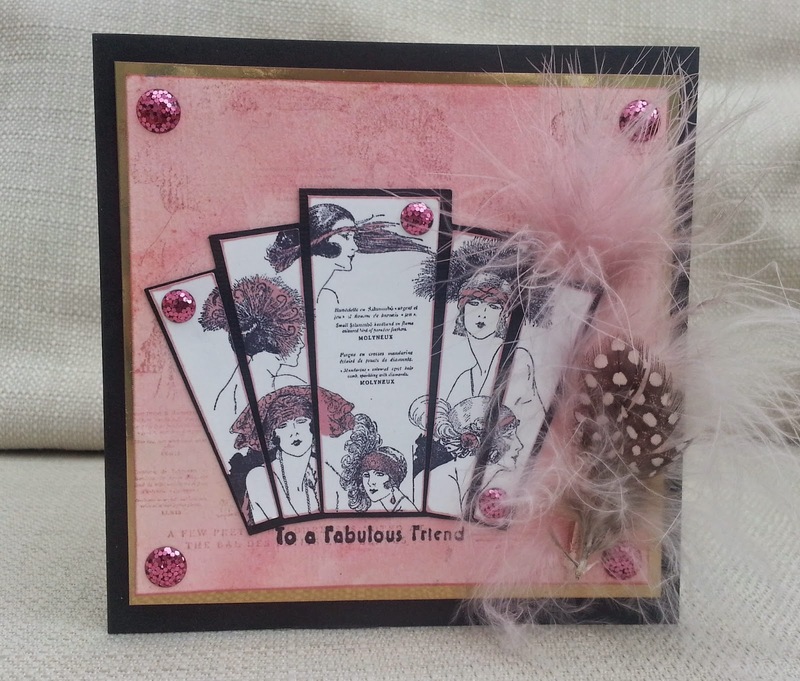 I used scraps from Cosmo Cricket 'Togetherness' range. I chose this week's theme at Make My Monday - 20th Century Style. Then I got overwhelmed because there were so many great looks to choose from - wartime utility or 50s rock n roll; 70's disco or the age of technology? 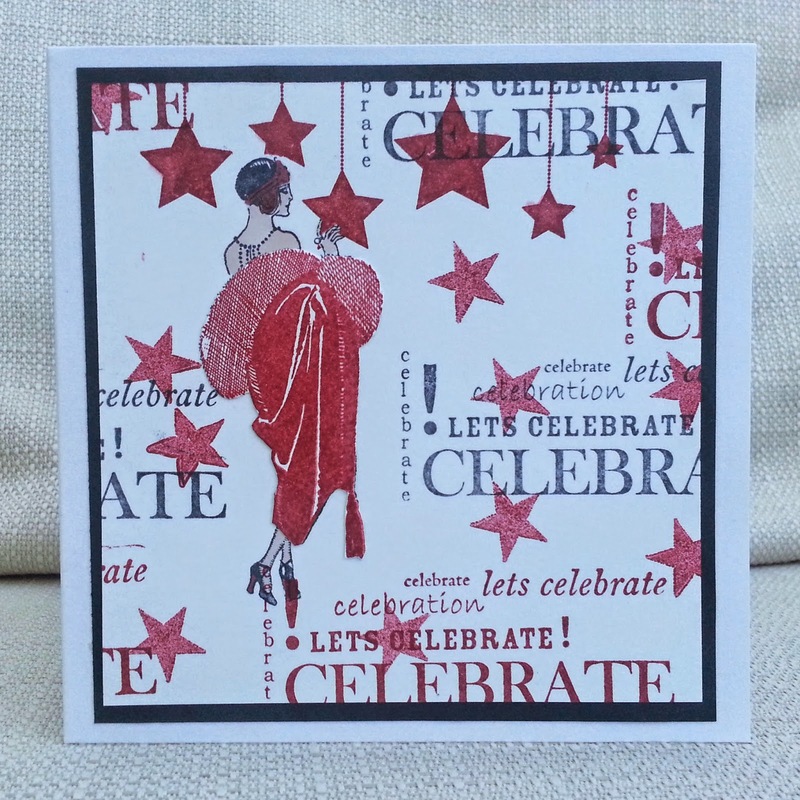 In the end I decided to use one of my favourite stamps , from BLine Designs, which features 1920s head-dresses. I cut the fan-like shape on the Silhouette Cameo, stamped on it and coloured the head-dresses in pink. 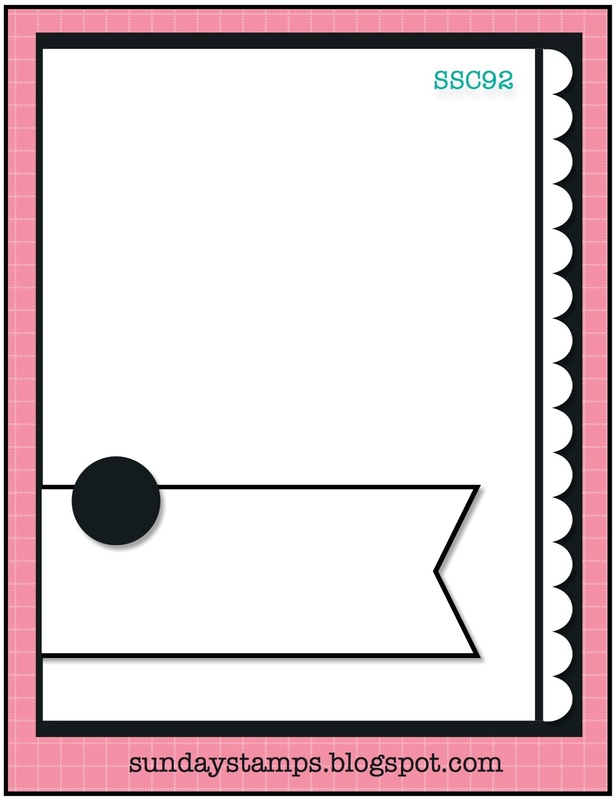 The background was made with pink gelatos and Perfect Pearl, and I lightly stamped the same stamp in dark pink ink. I partially sprayed a feather with Vintage Rose mist and added pink sparkly circles. I hope you'll choose your favourite 20th style and join us at Make My Monday. 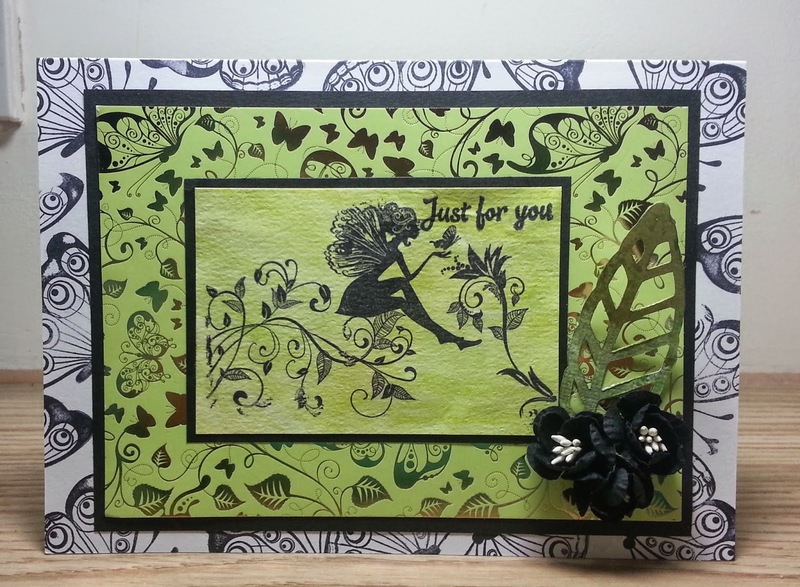 I stamped the fairy and the sentiment onto watercolour paper washed with gelatos. I mounted the paenel onto black and onto a green and gold butterfly embossed card (I think this was a Hunkydory freebie). 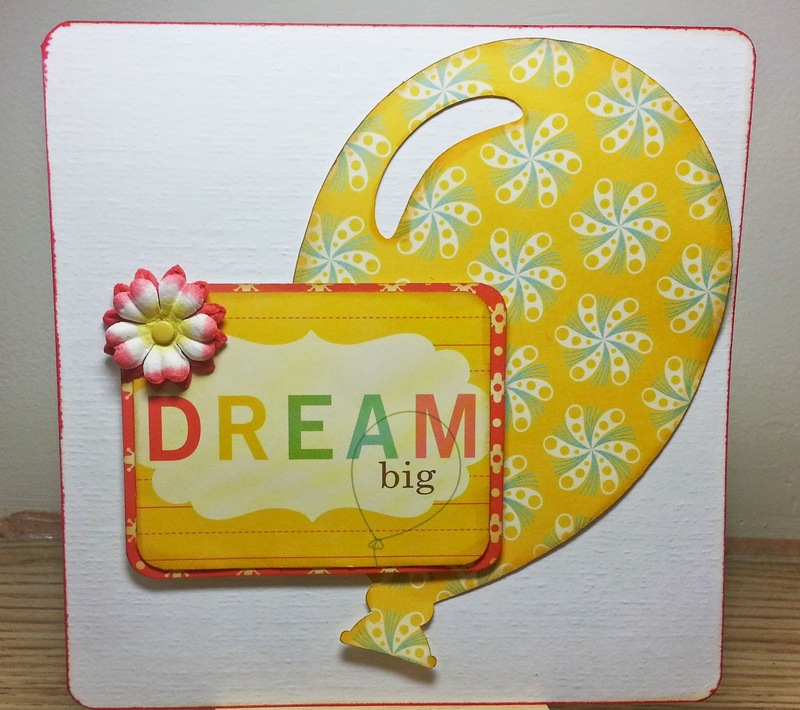 I stamped the card base with the butterfly from the set and sprayed a die-cut leaf with green and gold. This is a party political broadcast on behalf of My Perfect Life . Scrapping 4 Fun is having a challenge for its Guest Designers and there is a vote for the one you like best. Vote for me if you like my card. Vote for me if you like cute dogs. Vote for me if you like me! It's at times like these that I wish I hadn't kept my blog a secret from my family and friends. If you feel sorry for me - vote for me!!!! (Just slightly joking of course, but the vote is real at Scrapping for Fun ). Edited to say - The challenge has now gone live. It appears that you vote in the comments box and use the code 15GDMarina , and be a follower of the blog. 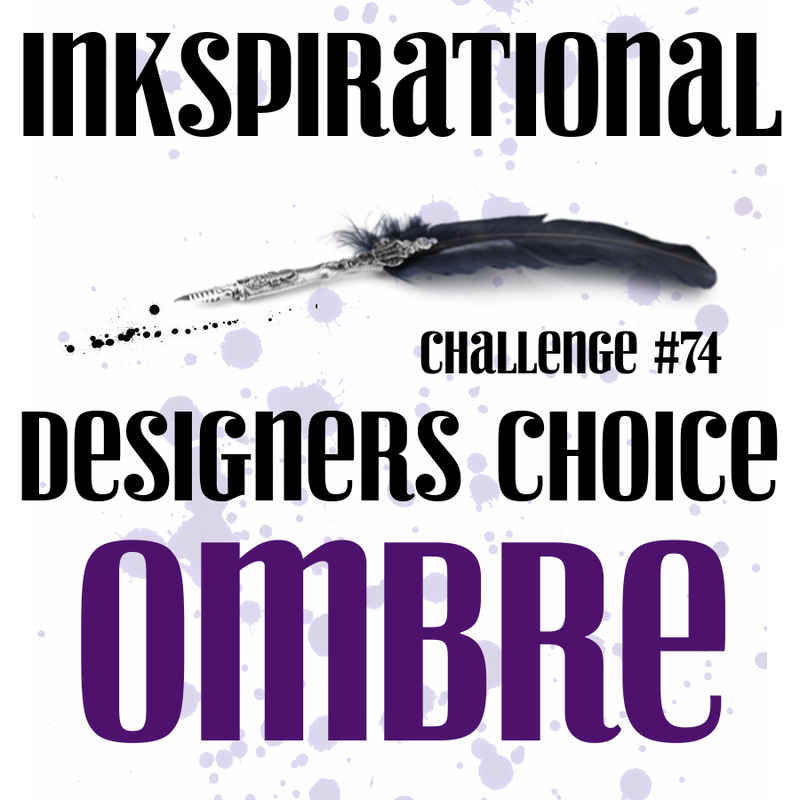 We have a great challenge today at inkspirational, chosen by our fabulous teammie Pia - ombre. Aaagh! I had heard of ombre, I kind of knew what it was but I still had to pretend it was just for our followers that I needed a clear definition and here it is :Ombré is when the colour is graduated in tone eg. a colour that fades from dark grey to light grey. Of course any colour can be used on the project. So this was a challenge for me, but one I'm glad I tried and I hope I've got it right. 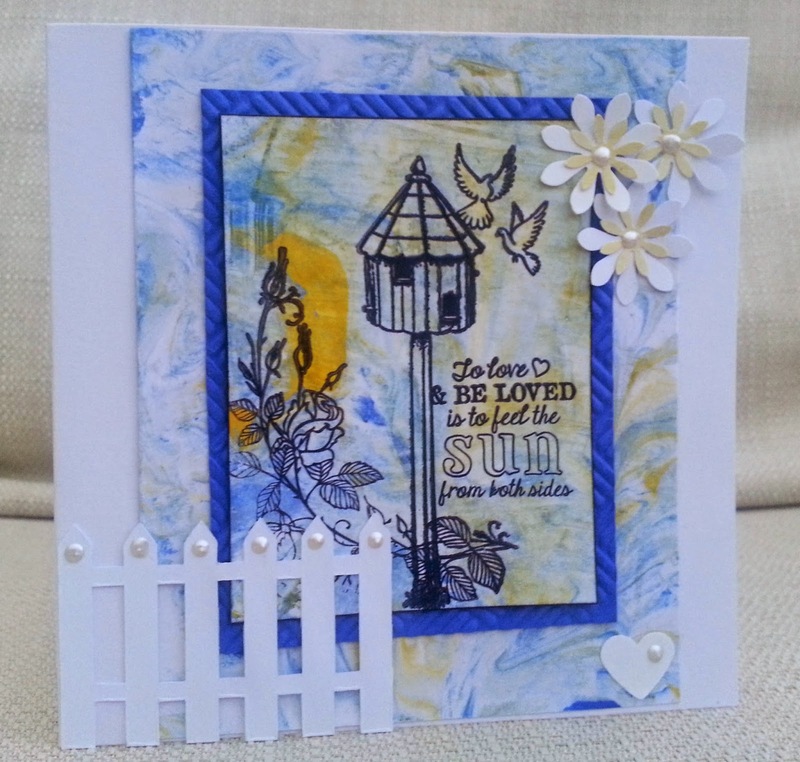 I used a digi from A Day for Daisies and two sentiment stamps from Clearly Besotted. One person who has definitely got it right is our brilliant guest designer Deepti. Why don't you give it a try and join us at Inkspirational? We have an Anything Goes challenge for you at Creative Cutting Challenge , the challenge blog for SVG cutting files. 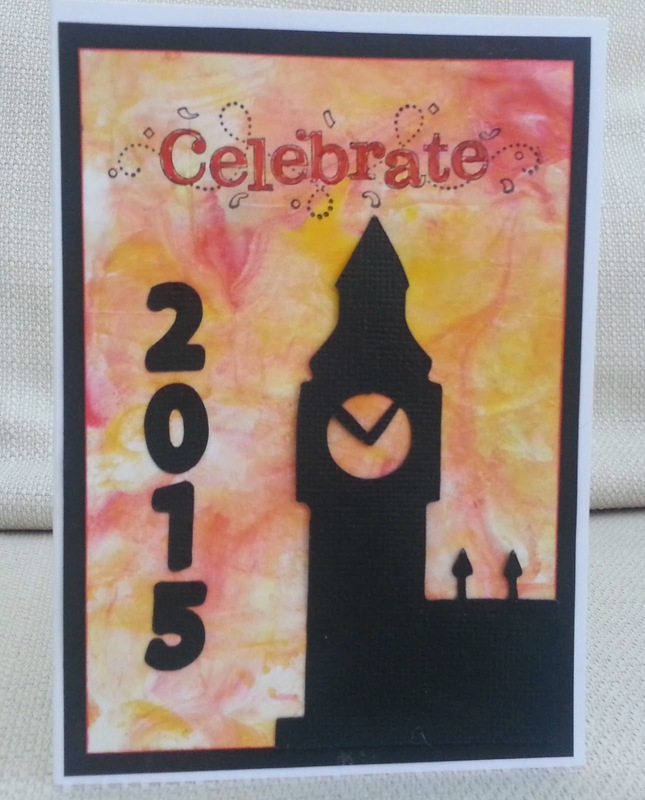 I've used Big Ben from the travel set by The Creative Pointe, a Stampin Up stamp (Celebrate) and a background using shaving foam technique. If you've got an electronic die-cutter, why not join us? 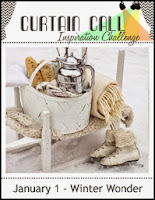 Make My Monday is back and our first challenge for 2015 is 'Winter Birthday' . I think the snowdrop is a lovely flower, with a touch of winter and the promise of spring - this digi is by Pink Gem and I coloured it with Promarkers and liquid pearls. I also used a computer generated sentiment, Martha Stewart border punch, green glitter paper and stick-on pearls. 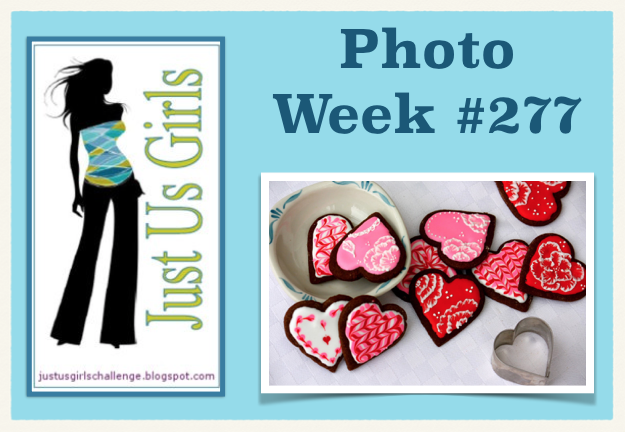 I hope you'll join in our challenge at Make My Monday. Anything that looks navy on here, is in fact, black! I'm often reluctant to enter CAS challenges because of a fear that my card isn't CAS enough. I hope this card qualifies as CAS because I made it using the colour combo at Showcase Your Style - a challenge I found through Kylie's lovely card. 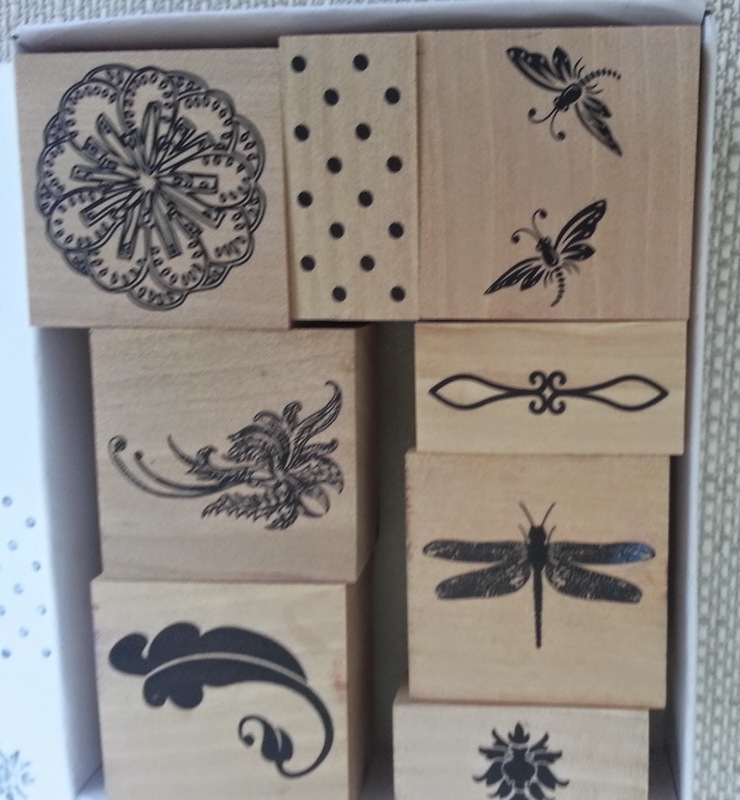 These stamps are from a 50s style set from Creative Stamping magazine. I wrote earlier that I have a difficulty with the stamps that come with this magazine - often there are so many samples in the mag that I feel there is nothing original left to do. So this time I used the stamps before opening the mag! Red Carpet Studio stars and new - new being the stamps. This set came with Creative Stamping magazine. Their USP is that they provide a full stamp set every issue and lots of samples in the magazine. But,perversely, after I've seen all the samples I feel less inclined to use them ! Anyway, the magazine is lost now and I've forgotten the samples but I was still stuck on what to do with these pretty stamps. I was playing around combining some of the smaller stamps in the set when I remembered a challenge I'd seen, and discounted at the time - anniversary at 4 Crafty Chicks . I don't generally make anniversary cards as I don't really have anyone to give them to, but I thought the sentiment (To love and to be love is to feel the sun from both sides) was perfect for this occasion. I stamped on some of the paper I made at my shaving foam session and added punched flowers, a die-cut fence and liquid pearls. 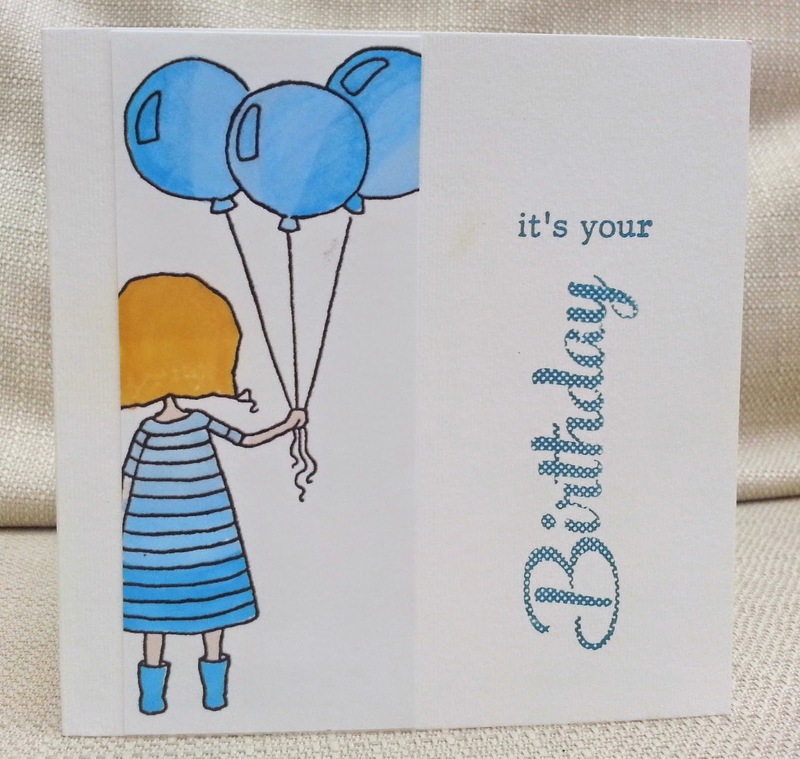 Today I'm one of the Guest Designers at Scrapping 4 Fun and the theme is Happy Birthday. 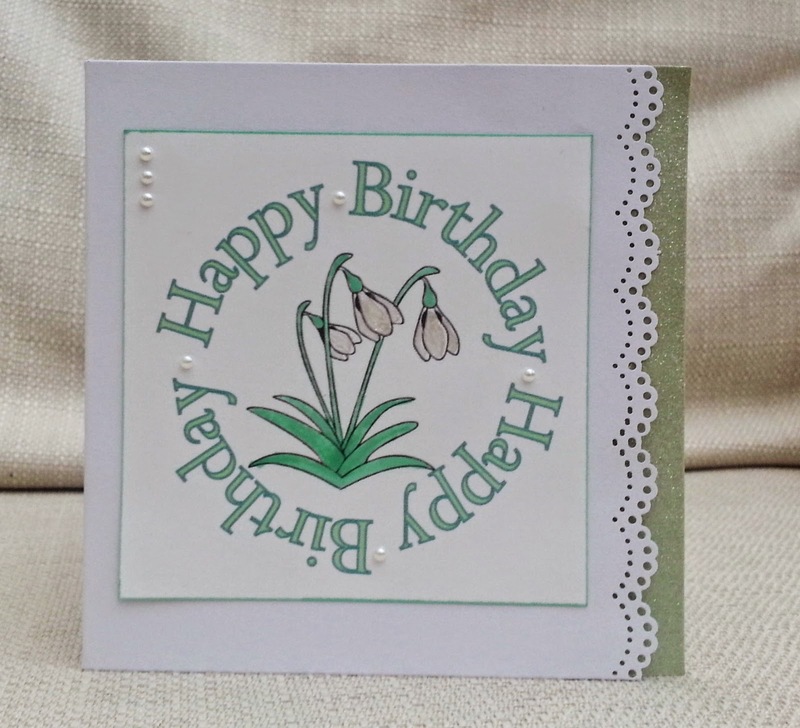 The papers I used for this card were made using shaving foam and acrylic paint. I have seen this technique demoed on the TV and no-one has ever got their arms covered in colourful foam like I did! 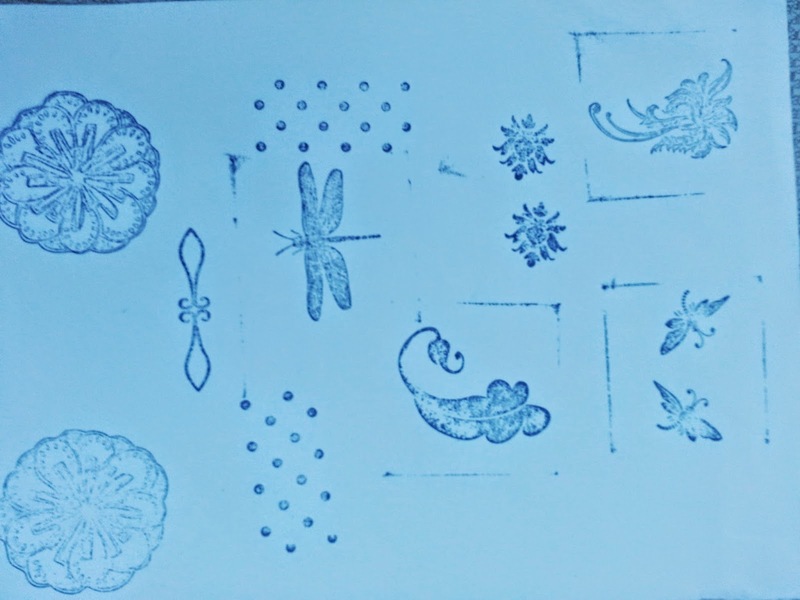 The stamps I used were given to me by my friend and teammie Sandie and I paper-pieced them with the patterned paper I'd made. Expect to see more of these shaving foam papers over the next few weeks, as I made a few. 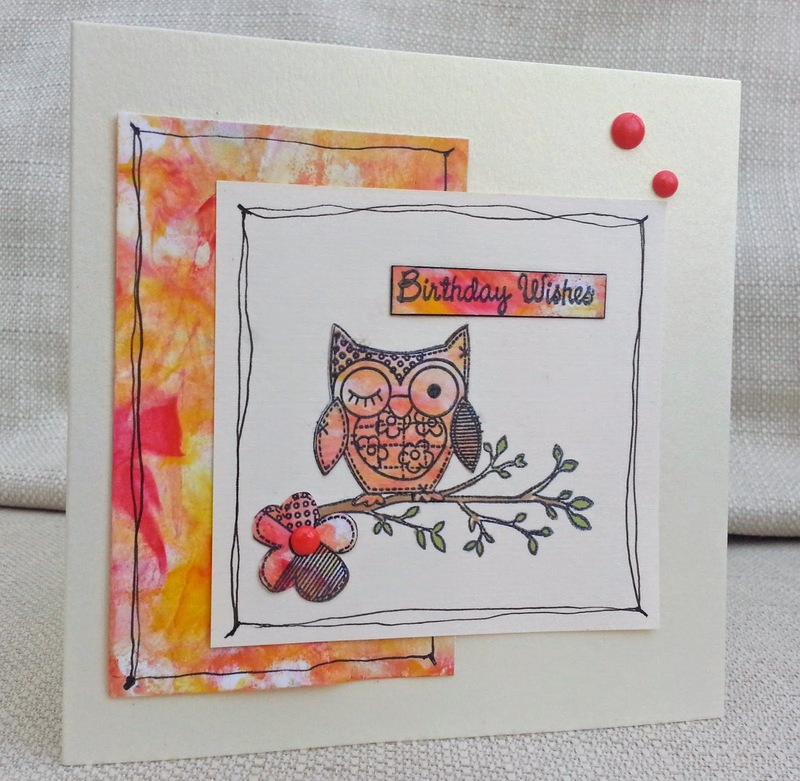 I hope you'll join in the fun at Scrapping 4 Fun with your birthday themed creations. 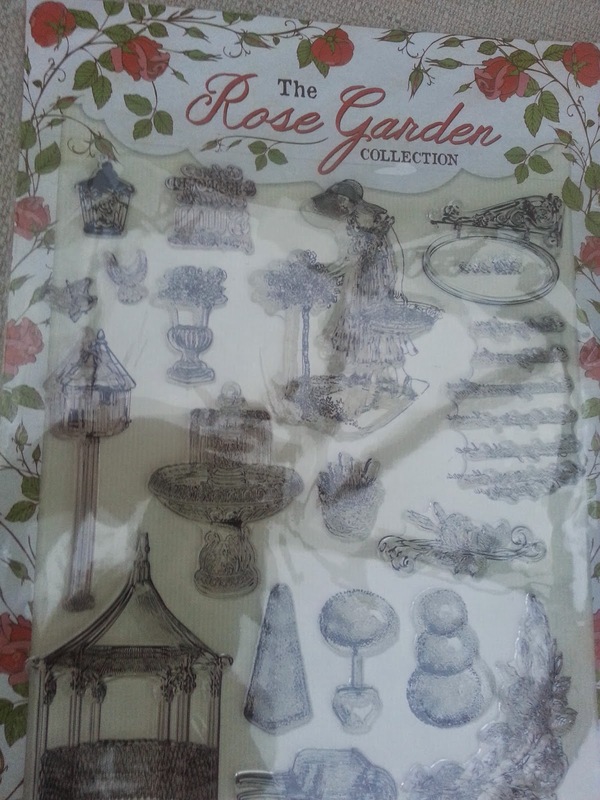 I'm entering this card into challenges for new things, as both the stamps and the shaving foam technique are new to me ( Crafty Boots, Shopping Our Stash, Country View) , and also Quirky Crafts CAS. I was going to take a break from Christmas cards, but before I’ve even put the decorations away, I’ve been inspired by a few challenges. 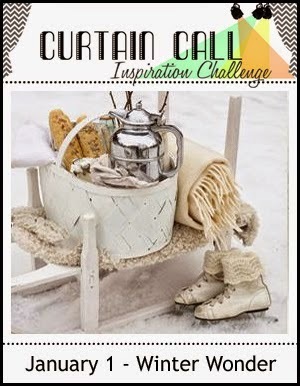 Firstly, the blanket and snow in the photo at Curtain Call. 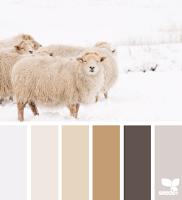 The colour palette at Christmas Card challenges reminded me of Basic Grey’s LBD collection,which I have in a digital version. Some of the patterns look quite blanket – like. 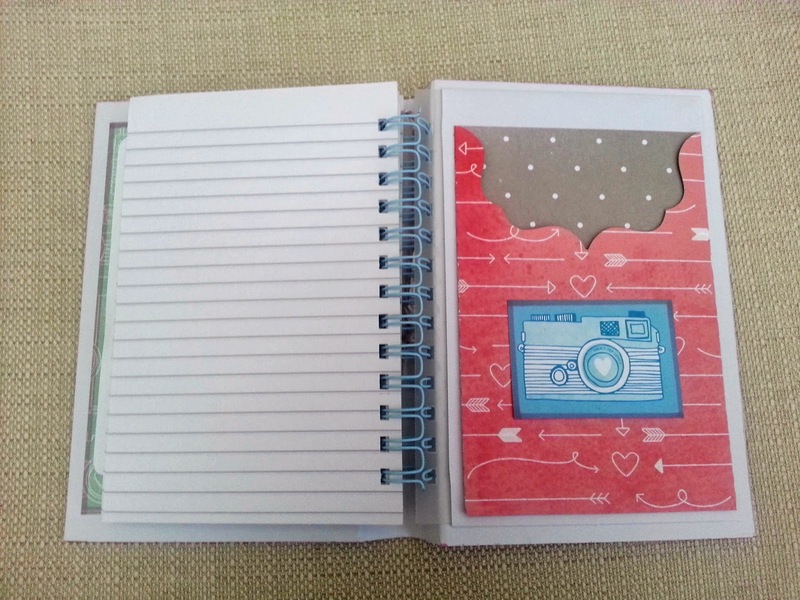 The sketch at Sunday Stamps gave a structure to bring it together. But it was missing a point of interest amongst the blanketyness(!). 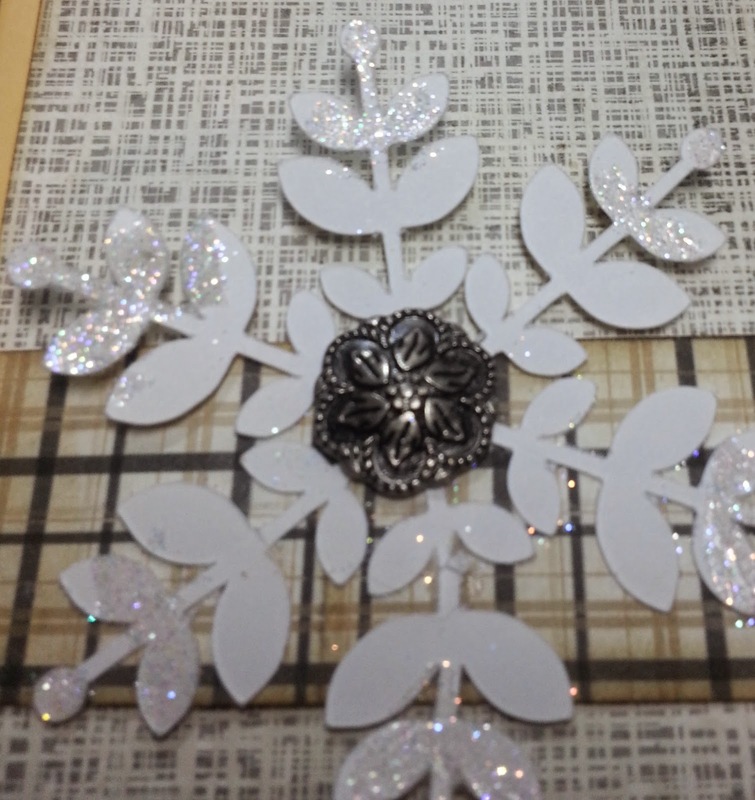 So I remembered I’d seen some challenges for using snowflakes ( Tis the Season and Merry Monday ) so I cut out a big snowflake I made from a Kerri Bradford Silhouette workshop. I added glitter, a brad and a stamped sentiment. It's the first challenge of the year at Make My Monday, and our theme is New Beginnings. Just before Christmas , my daughter's partner started a new job, so I made this card for him. Inside I wrote (Hope you don't find one of these (typewriter) on your desk.)! 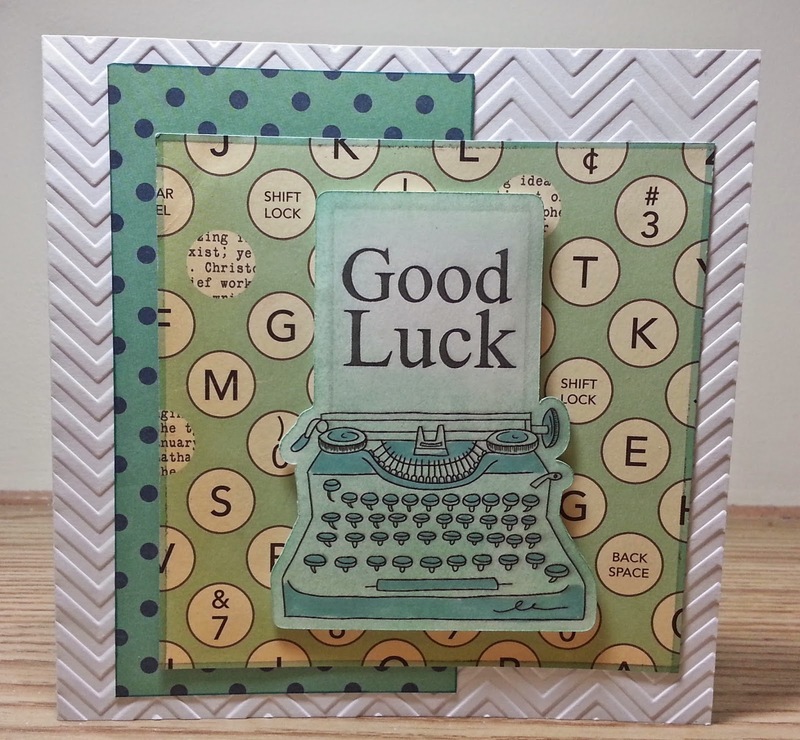 I used a digital stamp of a typewriter ( I think it's from a Craft Artist digistmap collection ), to which I added text and coloured. The papers are from my scraps box and I used an embossing folder to make a chevron pattern on the base. I was inspired by the challenge theme at CD Sunday , Winter Walks. Animals often enjoy going out in the snow. We used to have a pet rabbit who loved to run round the garden in the snow. 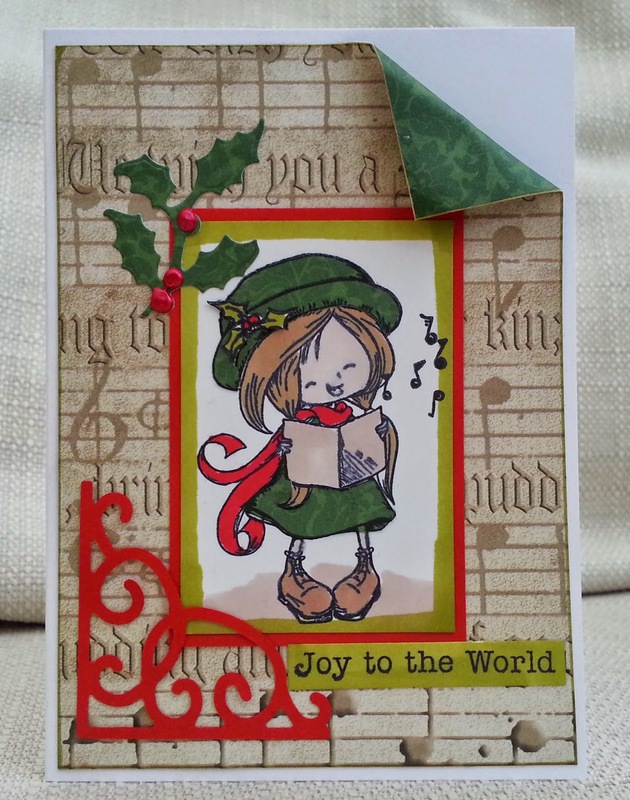 I used the My Craft Studio CD 'Setting the Scene Christmas' and combined four different elements to make the scene. 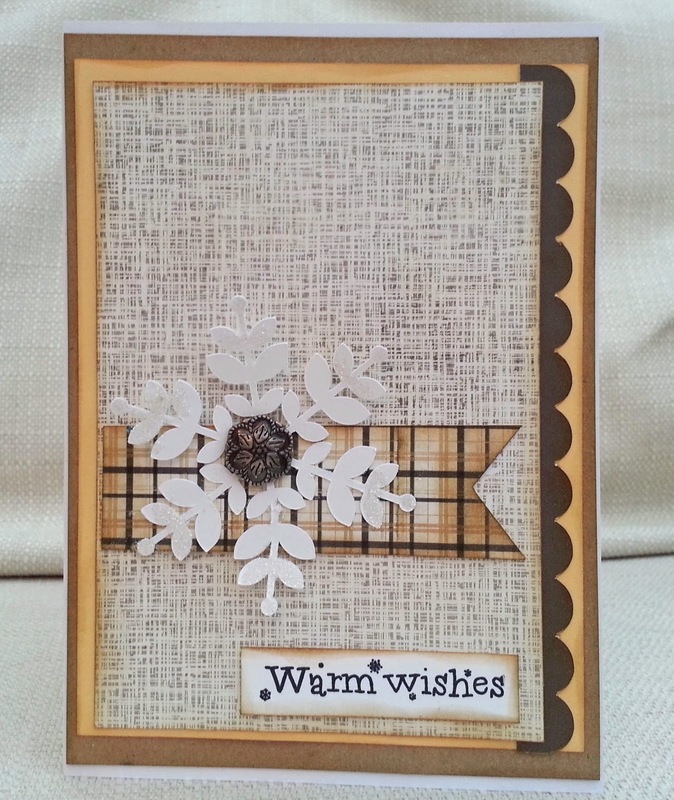 Then I stamped 'Warm Wishes' and mounted onto scrap patterned paper. I attached snowfall acetate over the top. I think you could use this for different winter occasions, but I will use it to kick off my Christmas card stock for 2015! Our first challenge for 2015 at Inkspirational and we have a fabulous new look , designed by Kylie, and a wonderful guest designer, Marika. 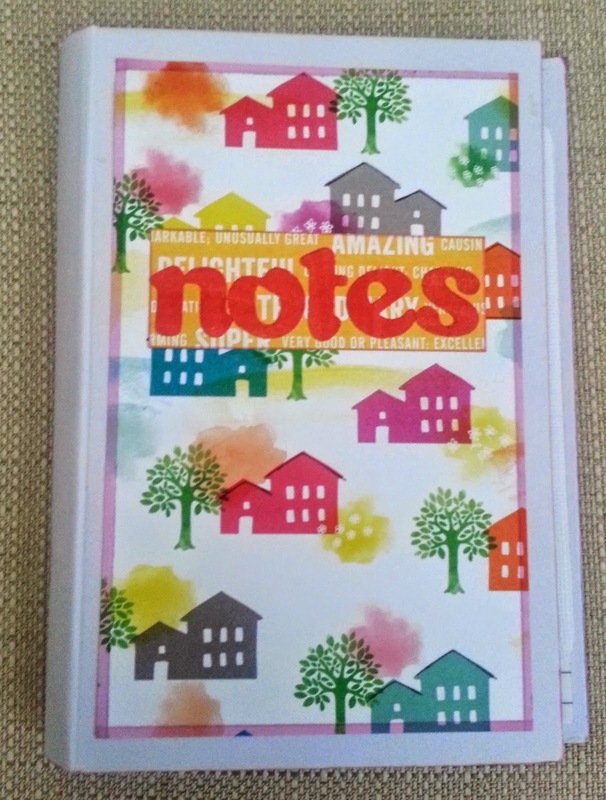 My project is a notebook which I made as a gift for my (grown up) niece. I used Amy Tangerine 'Yes Please' papers, a Bind it All cover and I cut the page tabs, tags, pockets on my Silhouette cutting machine. I made a bookmark my die-cutting a camera in shrink plastic, colouring it, shrinking it and tying it onto twine. The whole thing was bound with the Bind-it-All. 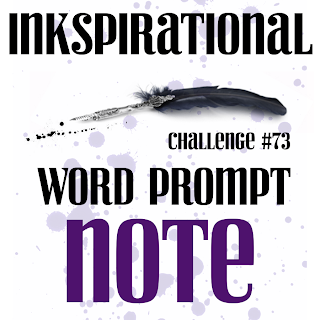 I hope you will come over to Inkspirational and share your project using the word prompt - note. 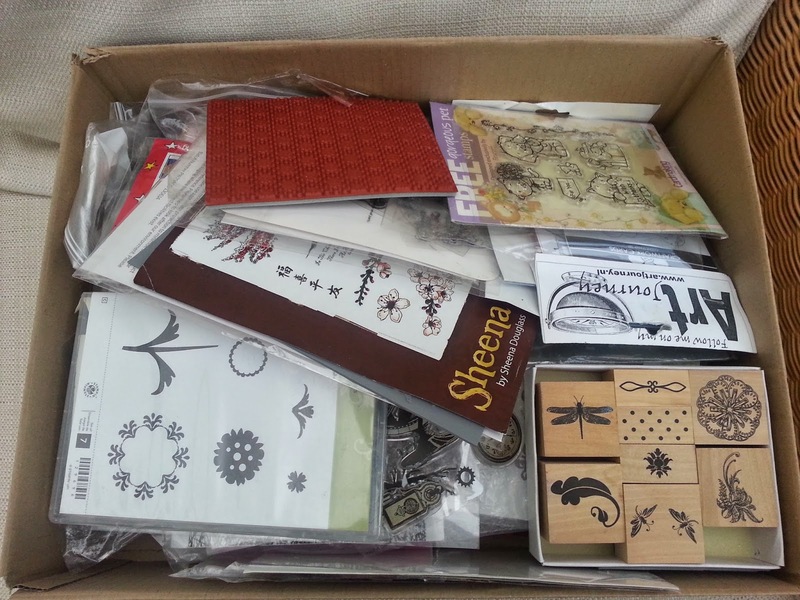 Yesterday I posted a photo of my big box of unused stamps and announced my self-imposed project to empty the box. To get me started, I asked my son to randomly pick out three items from the box. I have used the first two. I know I could take them off the block and trim them, but I just don't like the images enough to be bothered! So if anyone, (UK for postage costs reasons) wants them, I will pull them off the block and put them in the post, if you leave me a comment with your email. 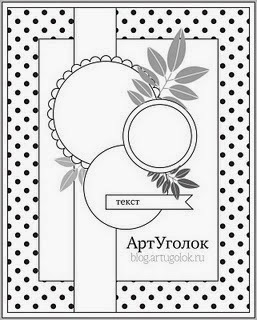 The second item was the flapper stamp, from Artisitc Stamper, you see in the card above. I can't remember buying it but it had a £1 sticker on it! I have never used it, I think, because of her hand - it looks like it should be doing something, like waving through a window or putting a bauble on a Christmas tree. 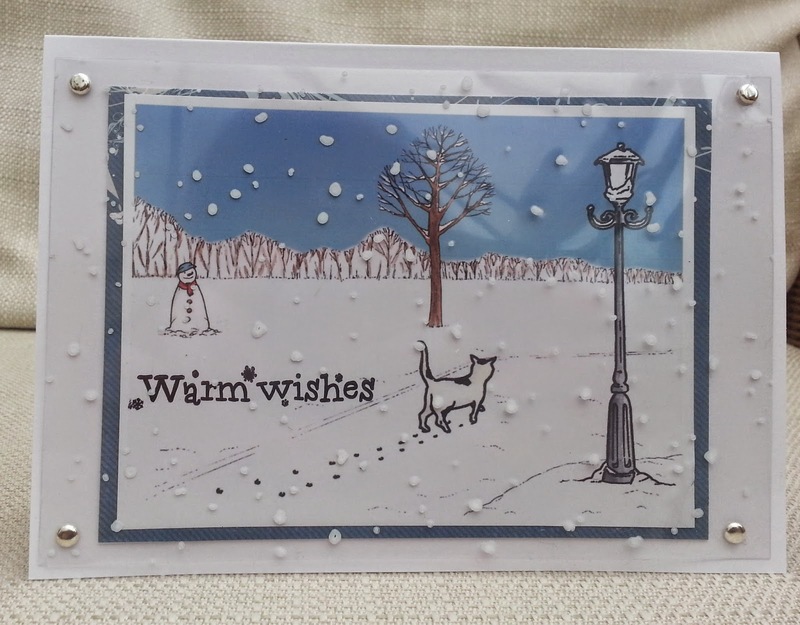 Using a bit of masking, I made her touch some hanging stars (Sarah Hurley), and added Docrafts text stamp and a Wink of Stella (which of course, you can't see in photo!). See this box? All those stamps inside are totally unused! Shameful! In my defence I will say that most of them have been acquired rather than bought - a great many of them were free with magazines. But there are some that were purchased with enthusiasm and then neglected. So , new for 2015, I am setting myself the Empty Box Project. 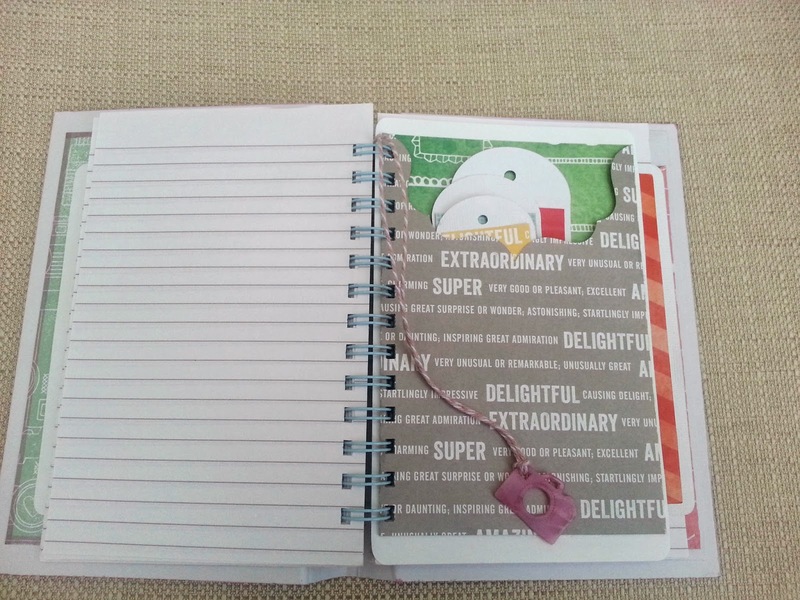 My aim is to work through the box , one stamp/ stamp set at a time and see if I can use them. If I can't use them, I will dispose of them. The aim is to finish with an empty box. I hope you will visit my blog and see how I'm getting on. Happy New Year to all the wonderful crafters out there, especially my regular visitors to this blog.